I’m happy to report that my Book Club visit to the Alexander County Book Club in Taylorsville, N.C. is back on for tomorrow night! We were derailed by Winter Storm Jonas, but now we’re back on track. I love visiting Book Clubs, mostly because I love people who read books. It’s a unique pleasure for me to be in their company, and especially to delve back into Keowee Valley, my first historical novel, and to remember what it was like to research and write the story. Those characters are special to me, and their adventures something I lived in my imagination but which still feel so very real. This is a new book club, and the event is free and open to the public. So if you live in the nearby area, I do hope you’ll join us! For more details, please contact Library Director Laura Crooks. 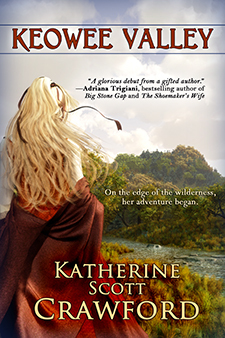 This entry was posted in Uncategorized and tagged adventure, Alexander County Library, author event, book clubs, events, first novel, historical fiction, historical novel, history, Katherine Scott Crawford, Keowee Valley, Laura Crooks, library, NC, reading, Taylorsville. Bookmark the permalink.